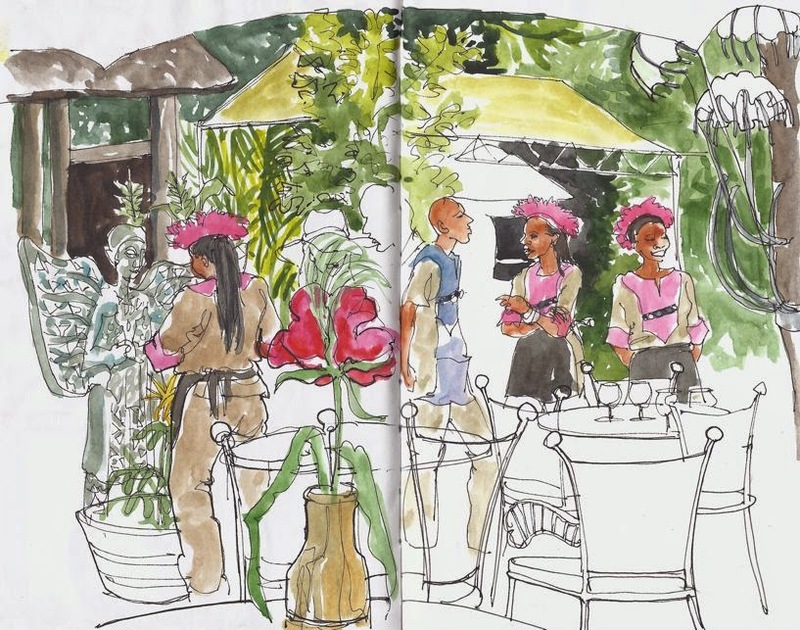 We've had a few visiting urban sketchers to our neck of the highveld lately, and happily we've been able to arrange a couple of sketch dates together. 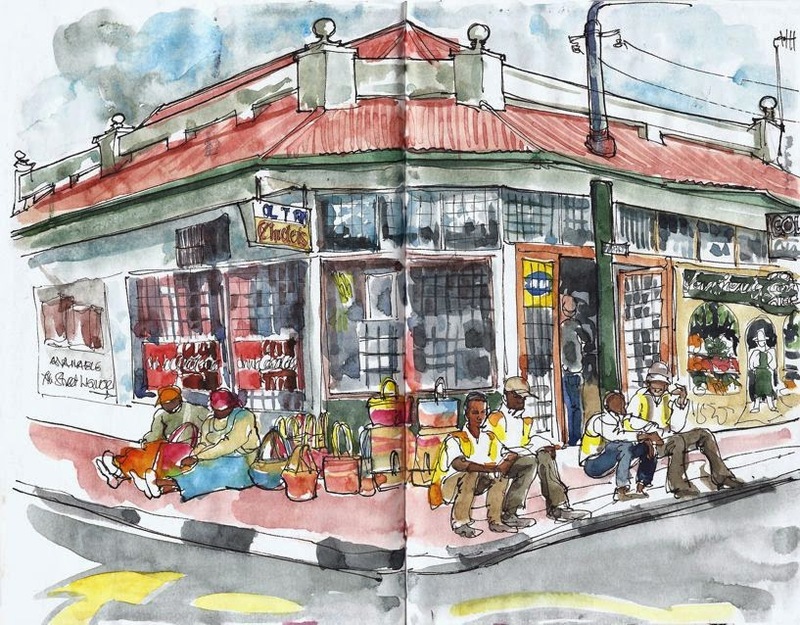 From the most recent - Fiver Löcker of Brighton, England got in touch and we arranged to meet near where she is staying in Melville, a suburb full of quaint and quirky sketching subjects. We started on the corner café, with its dilapidated old signs 'Golf Tearoom' barely legible, and its pavement gathering of car guards and basket ladies, who disappeared suddenly to start the lunchtime shift. I got them down early as from previous experience I know they tend to vanish while you're busy mixing the next colour. 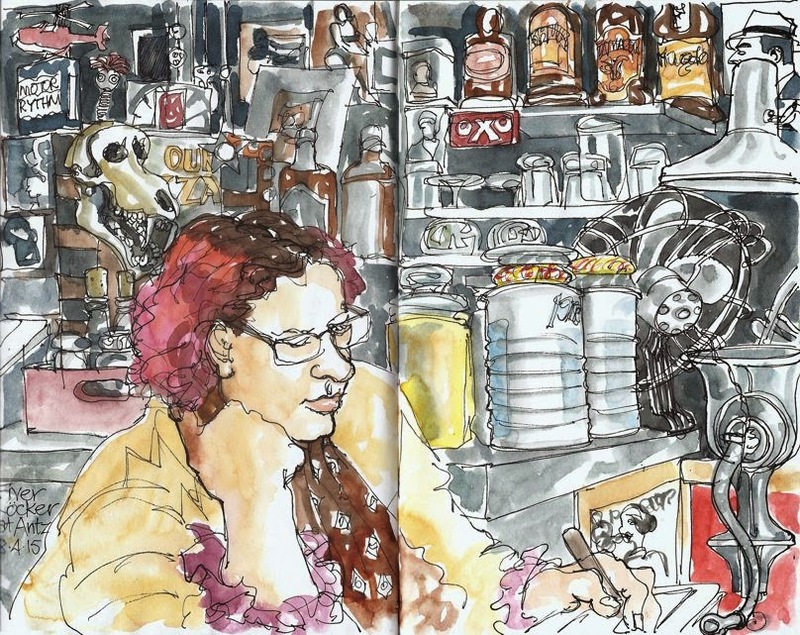 A rain shower chased us into Antz Café for lunch and some intense drawing trying to capture the chaotic collection of objects behind and around the bar counter. I got Fiver in for posterity, as well, sketching on her iPad... a frequent visitor, so I'm sure we'll be seeing her again! 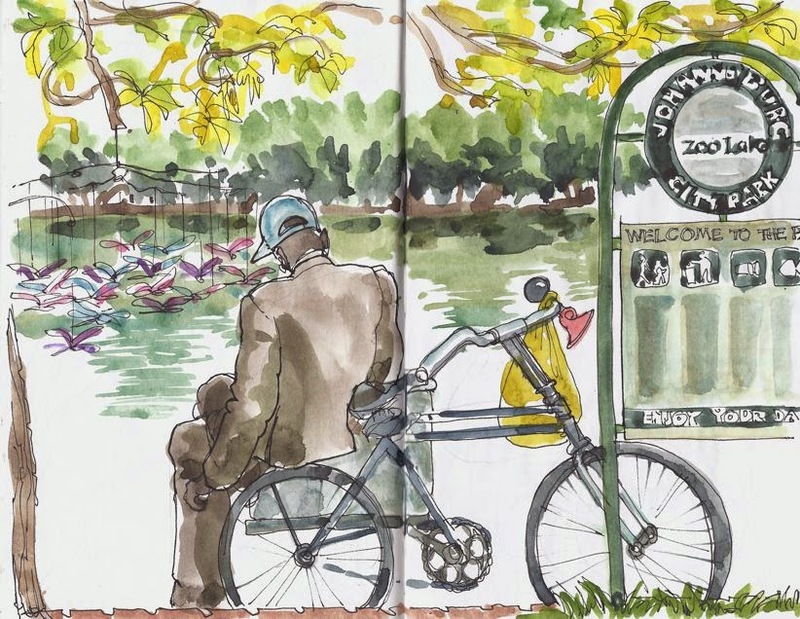 The Sunday before Easter ex-Joburg Sketcher Barbara Moore visited from her new home in the Cape and we spent a relaxed morning at Zoo Lake, drawing icecream men and waiters at Moyo restaurant in beautiful autumn weather. 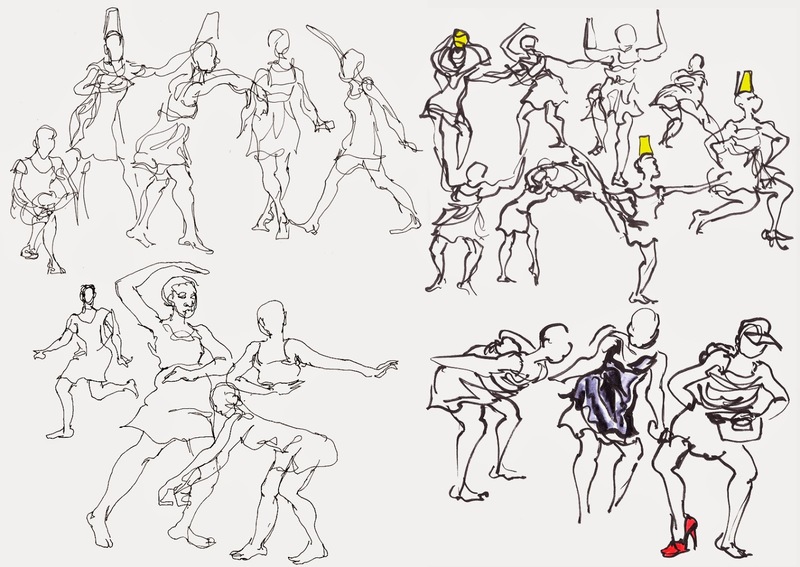 And a week or two before that - we had French sketcher Michel Davinroy look us up and join us for a challenging afternoon at the Market Theatre, trying to catch the unpredictable movements of dancers rehearsing for the Dance Umbrella, a three week long festival of contemporary dance. It's so exciting that sketchers from around the world are starting to seek us out to draw together, and enrich us with their stories, sketches and enthusiasm!